It’s not a secret and I don’t mind admitting that I’m a big fan of Apple products. While I took the long route to get there after a long love affair with my first couple of gateway laptops and the Office suite, I’ve now become the guy who watches every Apple keynote live, read multiple Apple rumor blogs and have to keep my wallet locked up when new products are announced. When Apple first introduced the Apple Watch last fall, I wasn’t impressed and my reaction was: so what? Why would I want my watch to do all of that? Can’t I do all of those things on my phone already? There is no way, that I will ever want one of those watches. Now that the launch of the watch is imminent and we are beginning to see some of the apps that developers have dreamed up, its becoming more and more clear to me that perhaps the Apple Watch is still ahead of its time when it comes to both software and hardware and with that it just may be also ahead of its time for learning. IS KEEPING TABS ON YOUR PHONE LIKE “GOOD” TEACHING? Creating a learner-centered classroom, providing students with voice and choice, allowing students to own the learning process … once you get beyond the buzzword, these are all much discussed and very important ideas in education; ideas that sadly all too often are discussed with very little guidance for implementation in today’s classrooms. Shouldn’t the teacher be the one that is in control of the classroom? And in a language classroom, isn’t the teacher the only one that can control the necessary input to acquire new language? My love affair with the iPhone is satisfying that need for control. I choose the apps that are right for me. I tell the apps when to tell me what and how often. For most apps such as calendar, email, Facebook, twitter, camera … it is me, who provides the input or some framework for input. It’s also me that decides when to interact with the apps. If I don’t want to look at Facebook, I don’t have to. If I don’t want to read an email, I can choose to ignore it. In fact, I can just turn off the phone for an entire meeting or leave it in my jacket pocket if I don’t want to be distracted. So yes, with an iPhone, it is me who is in control. And sure much like in teaching, there is always that one app that you can’t figure out no matter what you do, but you won’t delete it because you think that one day you’ll find a way. IS “GOOD” LEARNING LIKE AN APPLE WATCH? With the new watch however, things are going to change and while that is scary, I’m wondering if it may also be a good thing. First of all, the watch will be with you for most hours of the day – or at least that’s what the geniuses at Apple hope. So you will have a continuous and perhaps uninterrupted opportunity for interacting with the apps and in a way the watch itself will choose when you will interact with it, forcing you to give up some of that precious control you had with the iPhone. Your actions, motions, movements, and the pattern thereof will provide the watch with constant information and a continuous opportunity for assessment. It will be like an all day long formative assessment cycle. Let’s not even think about what Apple or someone hacking into one of the many systems running our lives could do with all of that assessment data. Unlike with the phone, where you had the choice between one or two models with perhaps different storage options (remind anyone of regular, advanced, or honors tracks? ), the new watch will be coming in so many different configurations and opportunities for personalization that it is going to be a nightmare for stores to keep track of their inventory and for advertisers to control the marketing message. And of course with all of the apps, no watch, much like our students, will truly be the same. The most powerful shift with the watch however isn’t it’s design or its continuous presence. In reviewing some of the early apps that are being released it appears that many of the developers have a new goal in mind for their apps: feedback. Providing you with feedback when you need it. 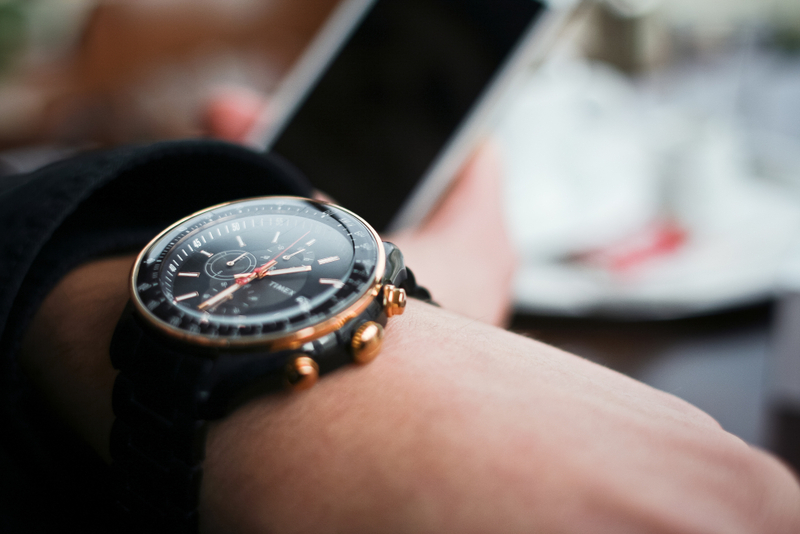 You won’t even have to look at the watch or open an app, the feedback will just be there. Either on the new “glance” screen or because it’s a certain time of day or you are at a certain place. Sometimes your watch will just give you a little nudge on your wrist to provide you that feedback, that reminder, that alert. In fact, many developers are hoping to create software that just gets out of your way. Now there is a vision for learning I can get excited about. CAN WE GET OUT OF THE WAY AND STIILL BE IN CONTROL?